The diversity of Australia’s features are significant and for those not familiar with the scale of the country, it is easy to think of it as a relatively small island. Many international travelers visiting Australia underestimate the distances between cities and travel times. Australia is comparable in size to the continental United States. It is the world’s sixth-largest country by total area. Australia is ancient and it has some of the oldest geological features in the world. 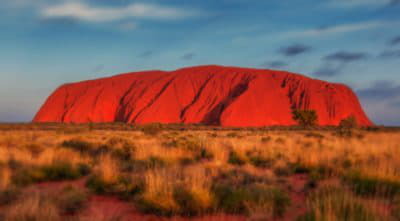 Our most famous rock of course is Uluru in the Northern Territory. Formerly named Ayers Rock, it covers an area of more than 3 square kilometers and nearly 10km’s around the base. It rises 345 metres in height and is estimated to have been laid down around 500 million years ago in an inland sea. What can be seen above the surface of the surrounding plains today is merely the eroded remains of what was a much larger mass of sandstone that was thrust upward and tipped over by geological upheaval 300 -400 million years ago. The iconic image of Uluru that is so familiar in travel brochures and magazines belies the surprising shape of the rock when viewed from space. The highest peak on the Australian mainland is Mount Kosciuszko which is 2228 metres above sea level. Kosciuszko is located in the Snowy Mountains region in New South Wales. It is a little-known fact that the highest point on Australian territory is in the Australian Antarctic Territory. Topping the list is Mt McClintock in the eastern sector of the Territory at 3490 metres with Mt Menzies in the western sector a close second at 3355 metres, both considerably higher than Mount Koscuiszko. Another surpassing Mount Koscuiszko is Mawson’s Peak on Heard Island, which is 2745 metres high and forms the summit of an active volcano called Big Ben. Apart from Antarctica, Australia is the driest continent in the world. About 35 per cent of the continent receives so little rain, it can be classified as desert. The largest Australian desert is the Great Victoria desert at 348,750 square kilometres, spanning Western and South Australia. The runner up is the Great Sandy desert in Western Australia at 267,250 square kilometres. The total desert area equates to 18 per cent of the total mainland area of Australia. The lengths of the 10 longest rivers in Australia were re-calculated in September 2008 by Geoscience Australia using data from the National Topographic Database. 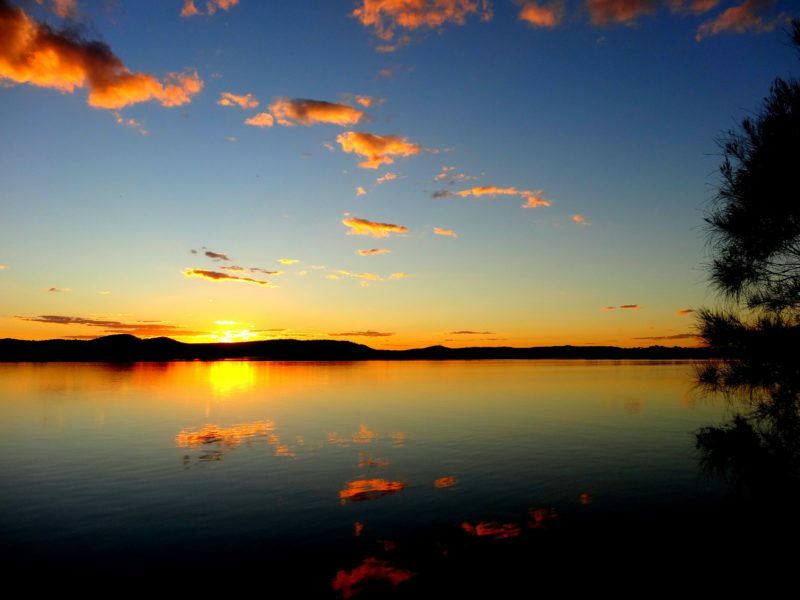 The calculations confirmed that Australia’s longest single river is the River Murray at 2,375 kilometres. The River Murray and its tributary, the Darling River, are the main rivers in the Murray-Darling River Basin. This drainage basin comprises the major part of the interior lowlands of Australia, covering more than one million square kilometres, or about 14 per cent of Australia. The Murray-Darling catchment also contains Australia’s longest continuous river system. The runner up for Australia’s longest river is the Murrumbidgee River in New South Wales at 1,485 kilometres. The Australian mainland is in fact the world’s largest island and is often referred to as an island continent. Australia is also surrounded by thousands of smaller islands ranging is size from rocky outcrops to some more than twice the size of the Australian Capital Territory. The larges of these is Melville Island in the Northern Territory with an area of 5,786 square kms. Fraser Island off the Queensland coast is Australia’s fifth largest island but the World’s largest sand island. Australia also has a number of large islands in the Pacific, Indian and Southern Oceans and the Coral and Timor Seas as part of its External Territories as well as several closer to the mainland which are larger than 1000 square kilometres. Despite the popular references to Australia at the bottom of the world in the Southern Hemisphere. Australia is in fact the lowest continent in the world in terms of its elevation. with an average elevation of only 330 metres. The highest points on the other continents are all more than twice the height of Australia’s highest peak, Mount Kosciuszko. This document includes some material prepared by Australian government department Geoscience Australia, associated organisations and/or other authorities. Their assistance is gratefully acknowledged.